Water Saving – Freeflush Rainwater Harvesting Ltd. Welcome to Freeflush Rainwater Harvesting Ltd. ! 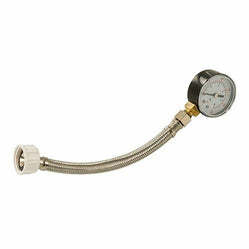 15mm combined flow regulating & isolating valve with integral flow regulator(optional handle and/or strainer available). 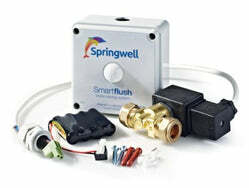 This tap tail flow regulator allows you to control the maximum available flow at the point of use. 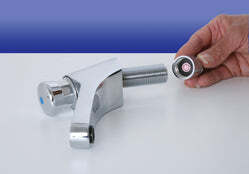 Simply attach the device when fitting the tap. ½” MxF. 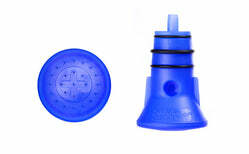 This shower flow regulator is a simple solution to reducing water usage in the shower. 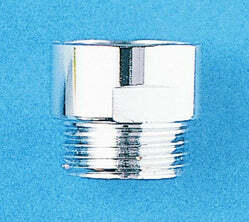 Simply fitted directly into the existing shower hose connector and into the shower unit. This combined aerator and flow regulator bulks the water allowing complete washing whilst limiting the flow required to achieve the same washing capacity. 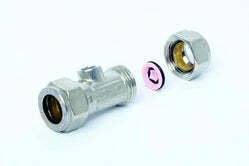 No plumbing is required as the insert simply screws into the existing. The ‘TAP’ head increases the flow time of a 1litre bottle of water by 10 times giving 2 minutes of washing time. 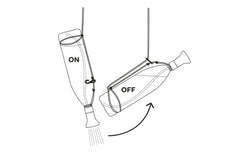 A 350mm tube is also supplied in the pack to ensure perfect flow from full should you want to use larger 1.5 to 2litre bottles. 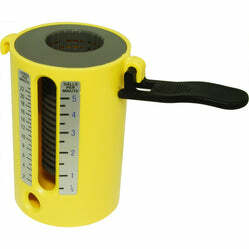 The tubes can be easily changed to suit your needs. 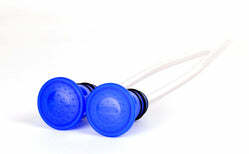 The ‘SHOWER’ head increases the flow time of a 1litre bottle of water by 6 times giving 1 minute 12 secs of shower time. The head is fitted with a 350mm tube to ensure perfect flow from full when using 1.5 to 2litre bottles. A shorter tube for smaller bottles is also included in the pack. 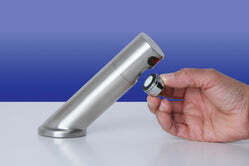 The tubes can be easily changed to suit your needs. Please feel to contact us regarding design or supply of one of our products. Sign up for our newsletter and be the first to know about our latest news. © 2019 Freeflush Rainwater Harvesting Ltd.